There are so many benefits of oranges that to name them all we’d run out of space on the page. 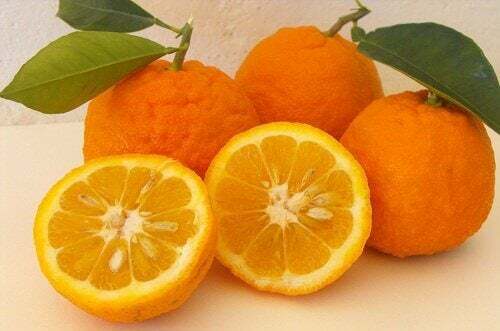 With that characteristic balance between sweetness and acidic flavors, along with a striking and invigorating fragrance, oranges are a highly valued fruit. It’s arguably the most “indulgent” member of the fruit kingdom (if there even is a fruit kingdom), and this is thanks to several reasons. Not only is it a delicious fruit – it provides a lot of benefits for the body. Now let’s turn to the reason why you’re reading this article: how to lose weight with the orange diet. There’s no need to spend a month eating only oranges. All you need to do is drink two liters of orange juice a day (one in the morning on an empty stomach, and the other in the afternoon). Wait a half hour after the first liter before eating breakfast, and wait at least two hours after your lunch before drinking the second liter. Another essential component of this diet is that the juice must be freshly squeezed. That means you can’t prepare it all in the morning for your afternoon liter. Using a good juicer it will only take you five minutes to prepare one liter. Depending on the size of the fruit and how much juice they contain, a liter is about 16 to 18 oranges. Take advantage of any sales in the grocery store! And remember, you don’t need to go to the store every day. Never use orange juice that’s been packaged or bottled, even if it claims to be the most natural product on the planet.